She leads and co-ordinates a network of Associates who are experts in their respective fields (lawyers, magistrates, social workers, counsellors, HR specialists) on training and consultancy projects in the UK and USA. 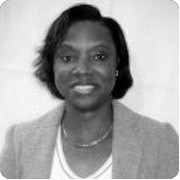 Judeline is also an Employment Tribunal Member, a Fellow of the Chartered Institute of Personnel and Development and a Fellow of the Institute of Training and Occupational Learning. 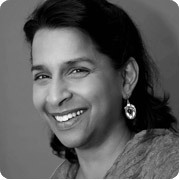 Valerie has over 18 years’ experience as a Lecturer, HRD Specialist and as Mentor. Valerie has worked for numerous organisations including the education, private and public sectors, her specialist areas are personal development for staff and first tier management development to groups and 121. As well as being a member of several professional bodies, Valerie takes a keen interest in research and development around human resource development and issues that impact on learning and development. Consequently, she is pursuing an MSc in HRD & Performance Management with the University of Leicester Centre for Labour Market Research. • Her aim is to use her skills and knowledge to encourage and motivate individuals to become the best they can be, by unlocking skills they already possess. • She also believes the key to success of any learning event depends on using a systematic approach to deliver effective instruction with high impact for both individuals and organisation. 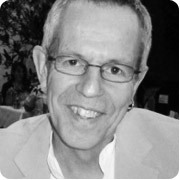 Martin is an experienced manager, team leader and trainer. He has worked as a teacher in the public and private sectors and as a manager and trainer in adult and further education. He is qualified as a teacher, counsellor and assessor. He has also had experience as a trustee and manager in the voluntary sector, in organisations delivering educational and international development programmes. • Enabling managers to develop diversity and inclusion in their teams while meeting targets and outputs.